Kitchens are often thought of as the heart of the home. For many homeowners or potential home buyers, having an updated, spacious, and beautiful kitchen is high on the priority list. If you are looking to revamp your kitchen design, try one of these pieces first and remember to keep your plans inside a realistic budget! One of the most crucial aspects of an updated kitchen is the cabinets. 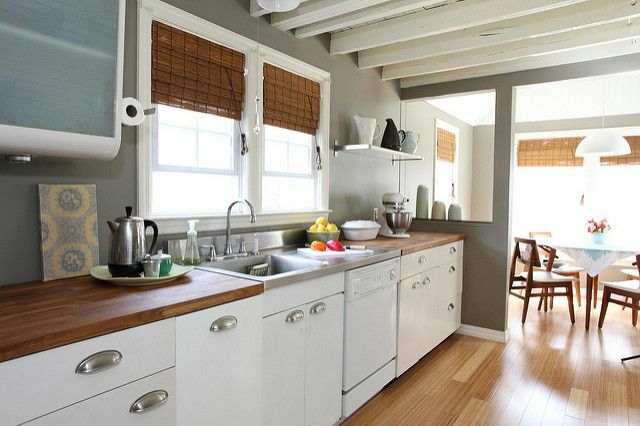 They are the first thing that stands out about the kitchen and take up a majority of the space there. So, if you've got cabinets that look like something from the 1980's--change them! If you don't have money to get brand-new cabinets, consider sanding and re-painting your current ones for a whole new look. Adding new hardware and drawer pulls can be a drastic change as well. Backsplashes are pretty and gaining popularity. 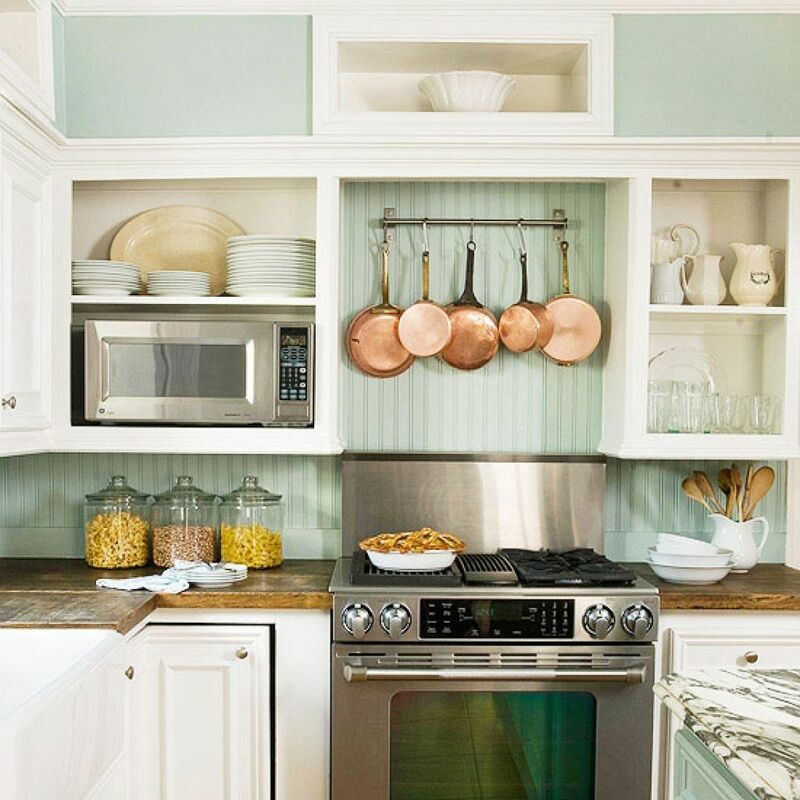 Though they don't add any extra utility to the kitchen, they do protect the walls, add a little color and texture, and make a statement in the kitchen. Backsplash tiles can be expensive and high-end...or they can be the peel-and-stick kind that will add some color inexpensively. No matter what you do, make sure to choose a backsplash that matches your kitchen and enhances it. If you have beautiful dishes and are a very organized person, open shelving is a lovely way to show off your dishes and add some flair to your kitchen. You could also add glass panels to a few of your cabinet doors. If you have a lot of dishes and clutter in your kitchen that you want concealed, open shelving might not be the right way to go for you. Counters are the smooth spaces in the kitchen that tie everything together. It's the space you use to prep food, to eat meals, and to connect with family and friends. 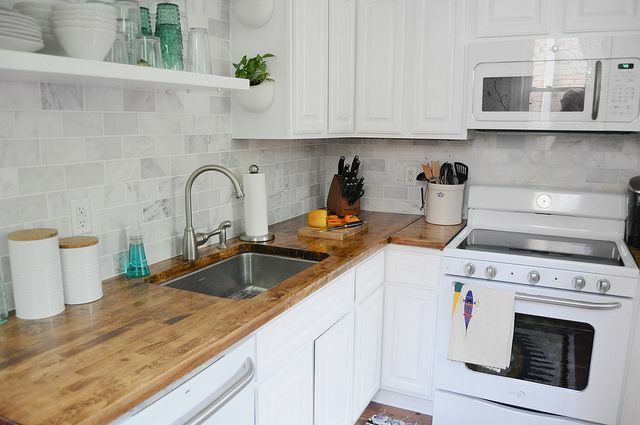 Dated countertops (like tile or laminate) will age your kitchen. When selecting a new countertop, select something classy and timeless. You can choose from many different materials-- quartz, stone, wood, concrete, granite, marble. Your kitchen can be updated slowly, one piece at a time, or all at once, via a major renovation. You can choose to guy and replace all the dated items in your kitchen or re-work the design to enhance its history and past. 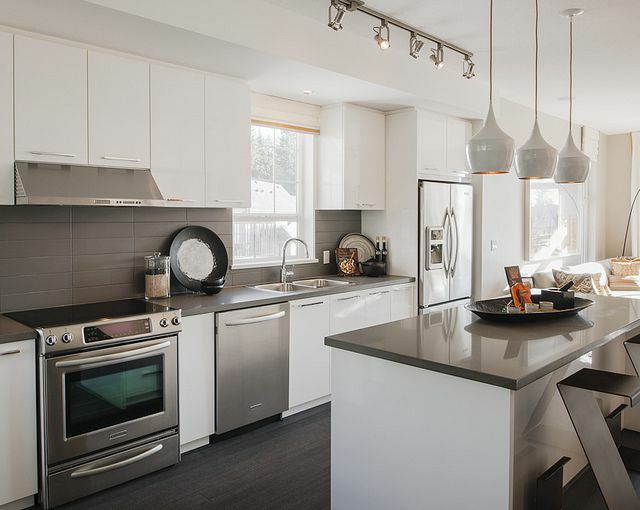 New appliances and clean surfaces will also go a long way in convincing a home buyer that your home is the right one. If you're looking for homebuying or selling services, Lucido Agency is your one-stop-show. Click here to find an agent in your location now.